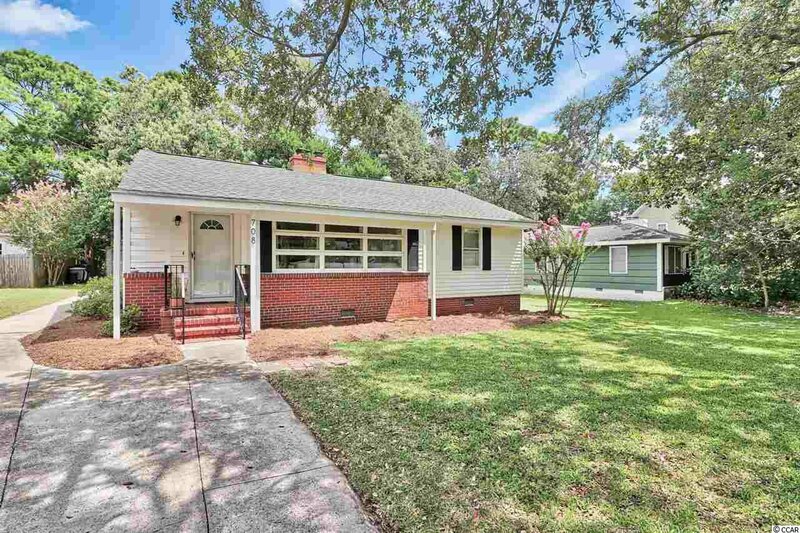 This home is located in the highly sought-after Old Pine Lakes area of Myrtle Beach. Perfect location - tucked away in a quiet neighborhood but close to everything Myrtle Beach has to offer. This property was renovated just a few years ago. Very clean and well maintained. It offers 3 bedrooms, 2 full baths and an updated kitchen with stainless appliances and granite countertops. Beautiful new custom built-ins and mantel surround the brick fireplace in the living room. Walk out onto the back patio and you will find a private back yard with mature trees and a large detached storage shed, just one year old. To top it all off, you're just a short bike or golf cart ride to the beach! Listing courtesy of Beckham Realty Group , Andrew Smith. Selling Office: Keller Williams MB S. Realty , Josh Gainey.